POLL: Which format would you rather want for this tier list? This is a tier list that I plan on updating every patch. I tried something similar before, but having to create in depth descriptions of every hero proved to be quite challenging and more time consuming than I had hoped. However, this time I simply plan on create 3 separate tier lists here for players of varying skill levels to edit such as: low tier, mid tier, and high tier. When posting I will create a list for both mid and low tier based purely on assumptions since I am high tier. I also plan on adding other content onto this wiki if I can. EFFECTIVE ONLY UNTIL SOMEONE ELSE EDITS MID AND LOW TIER LISTS: You will not have to provide change notes if the last change was from me for mid and low tier lists. That would be a loooot of typing since the changes are likely to be abundant. Just one question, does this tier list say which hero is top tier and which is weak? Think you forgot Ozo, he’s good. No offence but the high tier section is totally innacurate.For top Skaarf shouldn’t be on this list at all he’s no top laner, Alpha should be on the same level as Ozo and Lance and Grace are easily on the 2nd level. Baron should be ranked below kinetic (quite frankly he should have a 5th level for himself). For jungle Taka should probably be on the 4th level or 3rd tops he’s definitely not a priority pick, again Alpha should be on the lowest level. 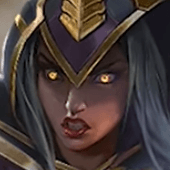 I understand tier lists are based on personal preference but you can’t have so many meta picks ranked so low and totally non viable picks ranked so high. I don’t really play top much at all, but I actually do think Lance should probably be moved up more. I guess I was being harsh on him. Grace is admittedly too slow in the current meta. She’s alright, but her damage is not as insane as it used to be which really hinders her right now. Also Alpha deals a lot of damage. Again, this could just be my experience with Alpha thus far, but she seems really solid right now. However, Skaarf or and other mage can definitely work in top lane. I just see Skaarf up there more often than others. I have not had much experience with Baron or Kinetic in mid, so I cannot personally rank them super accurately. I have seen CP Barons do alright tho hence my ranking for him. As for Taka, I feel that you’re underestimating him. 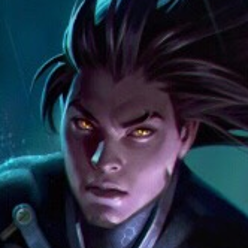 He’ really good right now on both paths (Then again one of my team mates is a Taka one trick and he’s really good on him), so I personally feel tat he’s one of the better junglers rn. As for support rankings, captains are really balanced rn, but healers are doing really well this patch, especially Lyra. There are so many good captains right now that power gap even between mid and top tier captains is not too high, so take that with a grain of salt. This IS just a quick tier list based on one player’s experience so far, but my plan on this tier list is for the COMMUNITY to tune it and make it as accurate as possible with several people’s experiences since we all play different heroes and have different play styles as well as different experiences. 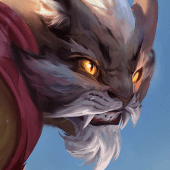 Skaarf is not top laner, same with Kensei, whose main role is bot, not top. In top the meta is: San Feng, GJ, Lance, Reza, Baptiste, Grace/Lorelai, Yates. 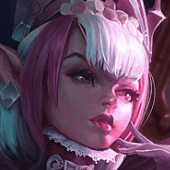 But mages, damage-required-bruisers (Glaive, Rona, Alpha…) are not viable in top. BF can be played, but is far from meta; Kestrel and Marlene can be played, but only by certain players. 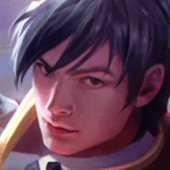 The rest of the heroes (Vox, Idris, Tony…) are not top laners. 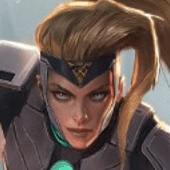 Mid lane: Magnus, Celeste / Skaarf, Samuel, Malene, Vox?, Varya. 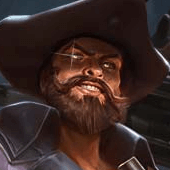 Idris is not mid laner and neither does Kinetic or baron. 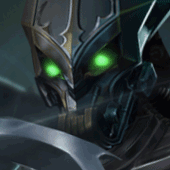 Bot lane: Kinetic, Adagio, Gwen, (Kestrel), Ringo, Kensei, Baron, Silvernail. Vox, SAW, Skye, Petal and so are just off meta picks or not viable at all. Jungle: Fortress, Inara and… don’t know more. 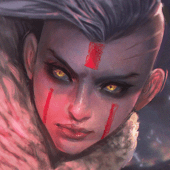 Support: Yates, Lyra, CW, Ardan, Lance, Phinn, Grace. Not viable picks: Patel, SAW (if played is CP SAW in top or jungle), WP Vox, Idris, Krul, Reim, Rona, Glaive?, Ozo, Alpha.